The ACA Survives Again- Let’s Move On! On June 25th the United States Supreme Court announced that the challenge to the Affordable Care Act entitled King v. Burwell failed. We could nit-pick about the details of the case- or take a deep breath and MOVE ON! I trust you will agree that the latter is the better option. With the Supreme Court’s rejection of the challenge to the Affordable Care Act [ACA] last Thursday we are entering yet another chapter in the law’s tortured past. We have now seen the ACA survive two challenges in our highest court, a presidential election, the complete upheaval of Congress, and more than 5 years of political gamesmanship and brinkmanship. What’s next? How about moving on? We continue to have the highest expenditures on health care in the world- and outcomes that rank below most developed countries. We have exceptional care for some, but no care at all for others. These were the issues the ACA- although not perfectly- started to address. We need to decide what taxpayers will have to pay for. In this great country it is possible to get multiple choices in treatment for almost any condition- from the tried and true to the new and experimental- from the generic to the new blockbuster drug. All of this is as it should be- that is what choice is all about.If you want the most expensive therapy for your prostate cancer despite appropriately conducted research that the outcome is poorer than the traditional, cheaper option- fine. That is your choice. But does that mean your choice should be at the (literal) expense of the taxpayers? No. It is time to limit Medicare (and Medicaid) funds to what is scientifically proven- not individually desired. We need to be healthier. 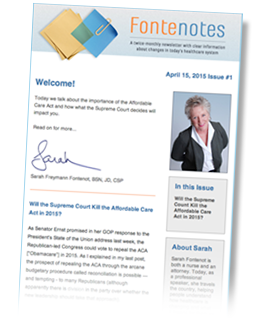 With the mushrooming of portable fitness devices and apps, internet support groups, diet and exercise incentives through employers, community outreach and public education we can be a healthier nation.Just as important if not more- the preventive care available at no out-of-pocket cost under the ACA needs to be promoted until everyone understands their new rights. We need people clamoring for screening, prevention and early intervention. It could save them- and ultimately it will save all of us from the spiral of poor public health at an unsustainable expense. We must support the right of people to choose how they want to die. The expansion of palliative care, hospice services and home health all make it more possible for families to face the end of life with more support and less intervention if that is the choice they make with their sick or dying loved one. We need to defend these very private decisions with very public, broad education so people know what their options are.We also need to be sure their doctors, nurses and other caregivers are reimbursed for answering their questions, providing the time they need to navigate a difficult course, and to respond when and if they are most needed at the bedside. That’s the death most of us want for ourselves and for our loved ones- lets be sure everyone can choose what they want when their time comes. Moving on. While I hope that you will appreciate at least one of these aspects of the ACA, I recognize there will continue to be judicial and legislative challenges to the law. Fighting over the ACA is far from over- particularly in this election season. But the public can ignore the politics. I know I am not the only one fed up with the fight- increasingly a majority of Americans want to stop bickering and start addressing the real issues before us. Our problems are real- and the solutions are not always going to be easy- but at least we could start insisting on health care that works for everyone. The public has a choice- waste more years bemoaning how things just aren’t like they used to be… or learn how some of these changes are ones we want. We could continue what we started as a nation five years ago and begin to realize the potential of the ACA. We could literally move on. Hospice Care is considered to be the model for quality, compassionate care for people facing a life-limiting illness or injury, hospice care involve a team-oriented approach to expert medical care, pain management, and emotional and spiritual support expressly tailored to the patient’s needs and wishes. Support is provided to the patient’s loved ones as well.